With businesses become ever more digital, there is a growing need for professionals and vendors who can supply SD-WAN solutions. SD-WAN, which stands for “Software-Defined Wide Area Network,” is a technology which manages the distribution of data over a wide area network. Businesses rely on wide area networks - or networks characterized by groups of computers that are geographically distant from each other - to communicate in all kinds of ways, especially between head office and branches. SD-WAN support involves making sure that the network itself can dynamically adjust to changes in conditions, without having to rely on manual assistance. In general, the level of support an organization receives for SD-WAN is dependent on size. Large firms tend to do the majority of their SD-WAN-related activities in-house, relying on their own engineering staff. Mid-sized firms often adopt a hybrid approach, farming out some operations to third-party vendors while maintaining others themselves. Smaller organizations often lack the expertise to manage SD-WAN themselves and so they frequently contract third-party professionals to take over the process for them. As SD-WAN continues to evolve, so too do the demands on SD-WAN engineers. Companies want additional services and technologies, like SD-Branch, to further improve the quality and functionality of their networks. Cisco Meraki is a cloud software solutions company based in California. Cisco Meraki has extensive experience in cloud-managed network solutions, including SD-WAN maintenance and deployment. It offers businesses scalable SD-WAN enterprise solutions and gives customers a range of cloud-based tools to manage their products. 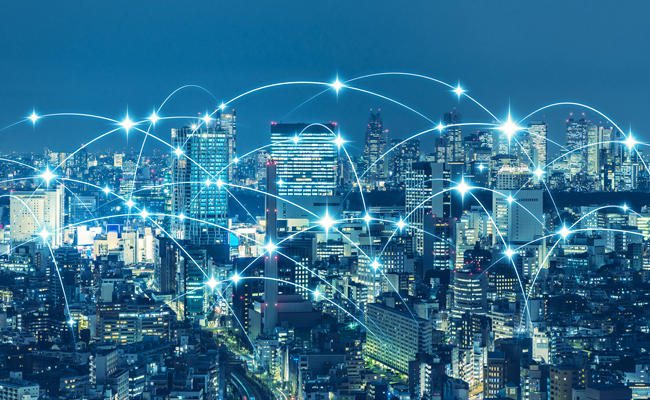 SilverPeak has moved away from router-centric and basic SD-WAN approaches to a type of proprietary system that it calls Unity EdgeConnect. The company says that the move signals a shift in paradigm to a business-centric mode of operation, improving the quality of service to end users and deployment of SD-WAN systems. Riverbed is a cloud networking company which specializes in SD-WAN. The company claims that it can overlay new and improved SD-WAN systems on top of existing network infrastructure, reducing disruption during deployment. It also says that its products have a surprising gentle learning curve because of its intuitive software tools. Nuage is a division of the once world-beating mobile phone company, Nokia. The company began diversifying into different areas of business and became one of the early leaders in the SD-WAN space. Unlike many other vendors in the industry, Nuage believes that it is better first to be responsive to the needs of applications, rather than to optimize bandwidths and the branch level after the fact. Velocloud, formally called Velocloud Networks, is a cloud-based networking service which provides a portfolio of products, including cloud-delivered SD-WAN. Founded in 2012, the company built a reputation on being able to deliver enterprise-class software solutions for managing data flows between branches and data centers. Versa promises to turn traditional corporate thinking on its head. Rather than ask what the company can do based on what IT can deliver, Versa wants to enable IT to deliver on what the business needs. The company offers a range of managed SD-WAN products, helping in both deployment and monitoring of WANs. 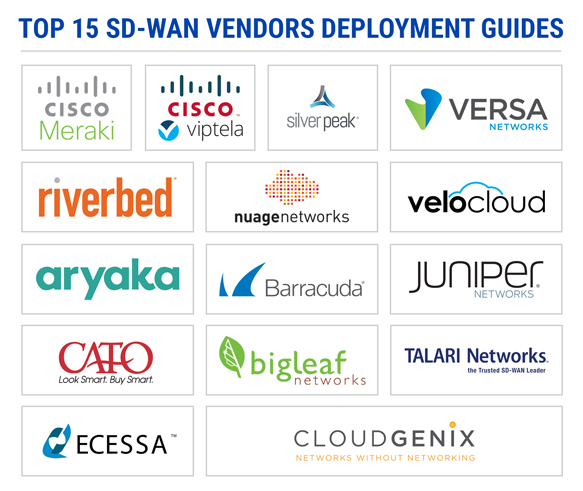 Aryaka is one of the most highly ranked SD-WAN enterprise service providers in the world, thanks to its unique combination of technologies. Aryaka offers firms private networks in conjunction with acceleration techniques, interoperability with cloud platforms, and network-wide off-the-shelf SD-WAN service solutions. Barracuda understand that organizations want not only efficient and highly optimized SD-WANs, but also networks that are secure too. The company says that its technologies can help overcome traditional firewall limitations and provide next-generation cloud security for organizations transferring sensitive data over networks. CloudGenix’s SD-WAN product is a complete SD-WAN solution, offering all of the critical features that organizations might need. CloudGenix, like many other vendors, is happy to deliver a hybrid approach, with some functions maintained in-house, and others carried out by its engineers. Big Leaf specializes in developing and deploying cloud-based SD-WAN for today’s fast-growing enterprises. The company says that its SD-WAN technology can eliminate performance issues and help enterprises shift to cloud-first organizations. The company, based in Beaverton, Oregon, was incorporated in 2012 and offers a range of internet and network connectivity solutions. Talari specializes in helping to reduce costs of SD-WAN as businesses scale. The vendor says that through its platform, customers get not only an agile network that responds in real time but also one that scales without there being a price penalty. The Talari failsafe SD-WAN, the vendor claims, has class-leading reliability and better app performance than the competition. Cato is one of the market leaders in what they call “SD-WAN 3.0” - or SD-WAN managed and operated in the cloud. The company specializes in the cloud deployment of SD-WAN and provides secure connectivity to both mobile users, cloud data centers, branch offices, and any other location where a stakeholder can access the internet. Ecessa has delivered SD-WAN to large enterprises for many years. It claims that customers using its SD-WAN architecture experience a 95 percent reduction in packet loss, 100 percent outage avoidance, and an 89 percent improvement in latency. The company prides itself on offering high-quality, bespoke solutions to enterprises that rely on continuous uptime. How FieldEngineer can help businesses in SD-WAN Deployment? SD-WAN deployment is a specialist service, something that few businesses can do in-house. But with help from Field Engineer, you can get access to trusted, certified, and vetted SD-WAN engineers on-demand, only paying for the services you use. No more expensive contracts; no more costly recruitment - just trained SD-WAN professionals, as and when you need them. 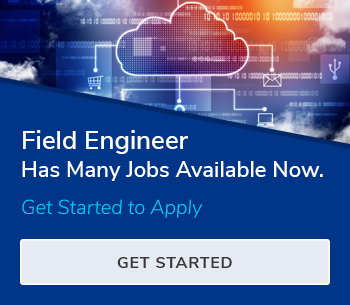 Field Engineer is an on-demand marketplace for SD-WAN engineers, delivering you with higher productivity, cost savings, and improved revenue. We perform thorough background checks on every single SD-WAN technician on our platform, FieldEngineer.com, giving you peace of mind and the quality professional your enterprise needs.